We don’t employ junior counselors at Camp Walt Whitman. The average age of our counselors is 21, and we only hire counselors who have worked with children in another capacity like a day camp or school. 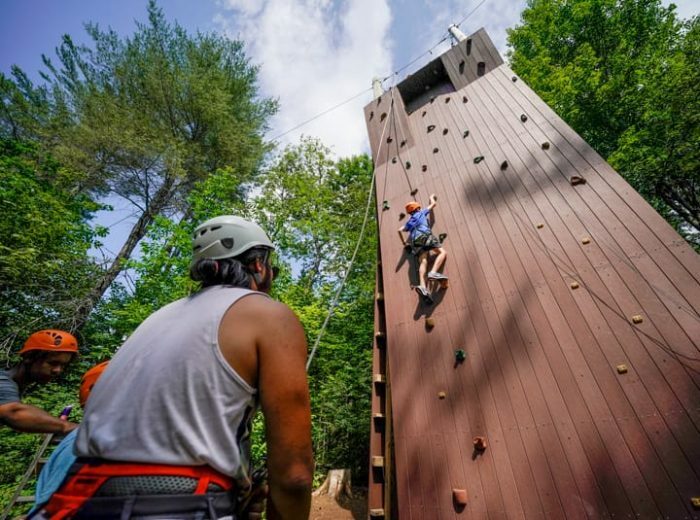 We even require this level of experience from our own former campers and counselors in training, who must gain relevant experience elsewhere and have completed at least their freshman year of college before applying to become a counselor at Camp Walt Whitman. 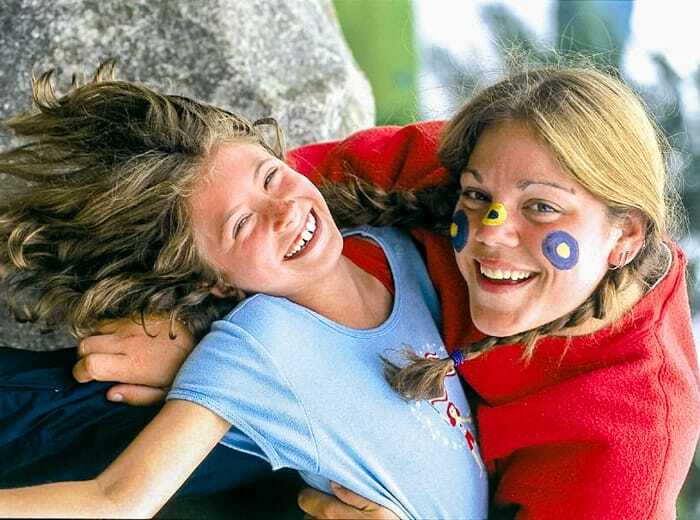 Our unique policy guarantees that cabin counselors possess three important qualities: a maturity level beyond the high school years, experience caring for kids outside of their own sleepaway camp, and a passion for working with children. The focal point of the Walt Whitman experience is the cabin group, which forms a camper’s summer family. 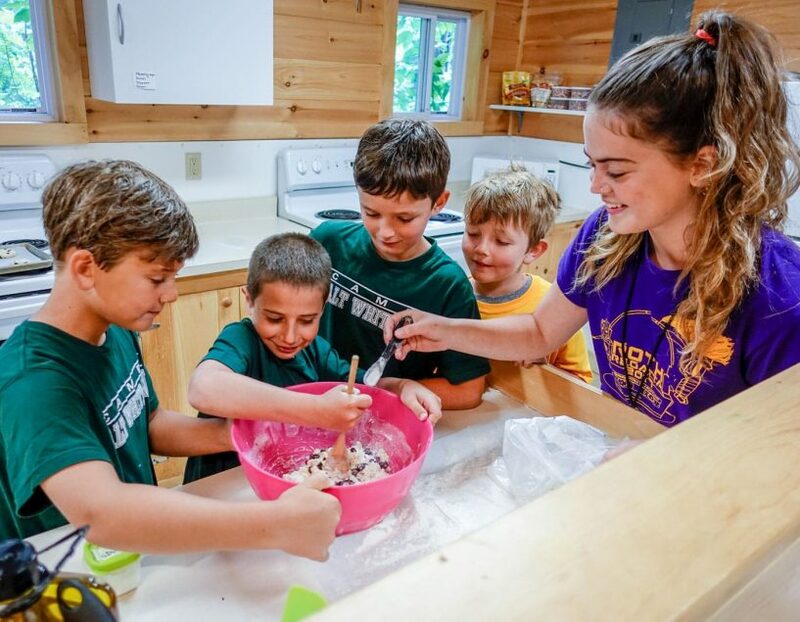 The eight to ten campers in every cabin not only live together, they also participate as a group in many of their daily activities. 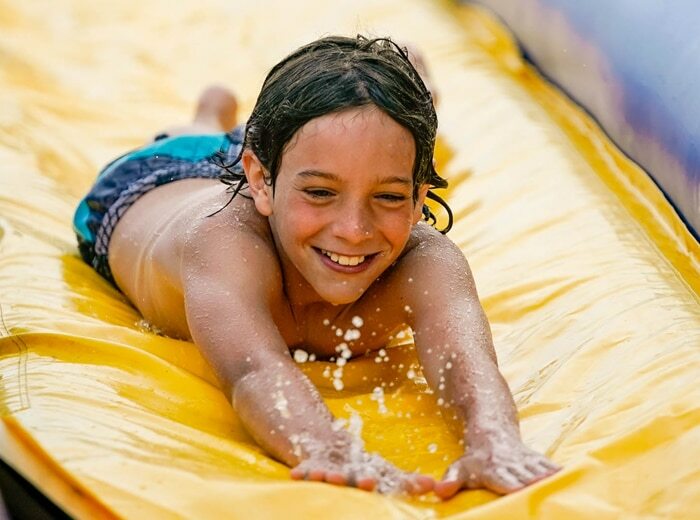 We pair each cabin with two experienced, college-aged cabin counselors who are wonderful with children. They stay with their campers day and night, to cheer them on and listen to their adventures, or to put an arm around their shoulder if that’s what’s needed. For additional support, an activity specialist lives in the cabin as well. 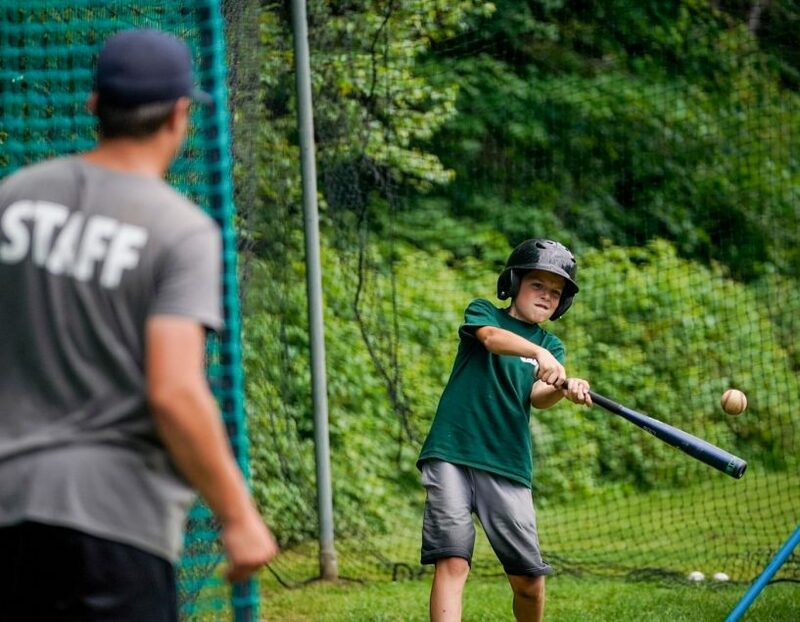 The result is a strong, cohesive group of campers, supervised by adults who know them well and can appropriately encourage and motivate them while providing guidance and fun. Our dedicated activity specialists teach your child only the physical skills or creative arts they’re experts in. No counselor doubles as an instructor, and no instructor doubles as a counselor. The majority of our athletics instructors are current or former collegiate athletes and coaches. Our adventure programs are taught by certified professionals, and our aquatics by certified Red Cross lifeguards. Our arts instructors are career artists and teachers. Having great college-aged counselors at a camp isn’t enough on its own; there must be a leadership team in place to supervise and assist as challenges arise. 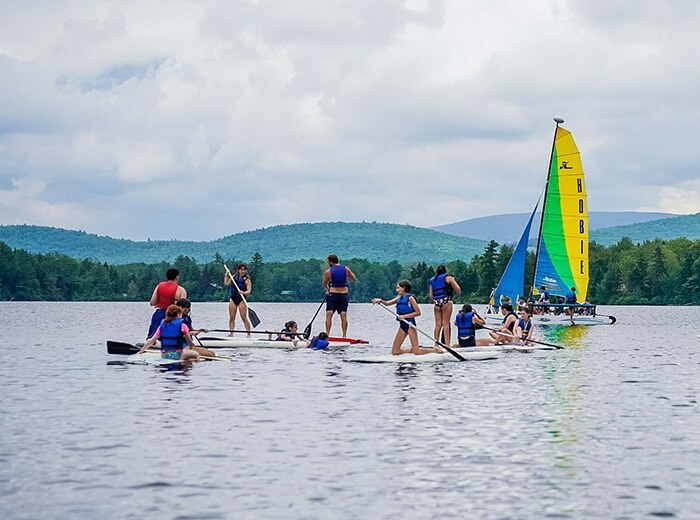 At Camp Walt Whitman we are particularly fortunate to have a large leadership team composed of adults in their 30s, 40s, 50s, and 60s who are teachers and professors who return to camp summer after summer. 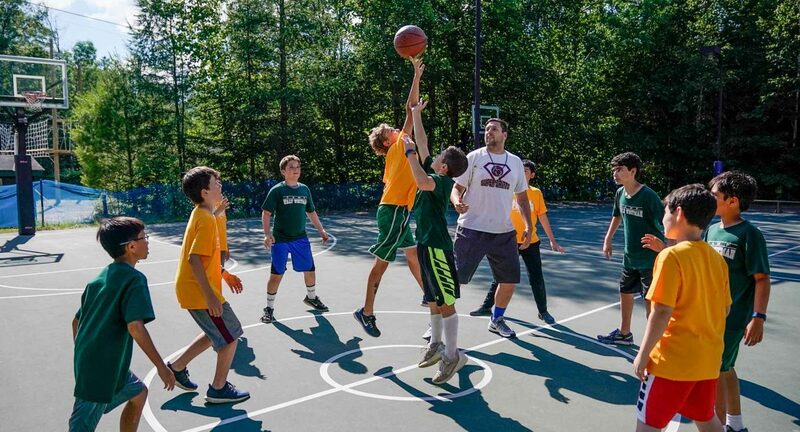 The continuity of our experienced leadership staff (six of whom have been at the camp for over 30 summers) ensures that CWW can achieve the highest levels of quality every summer. 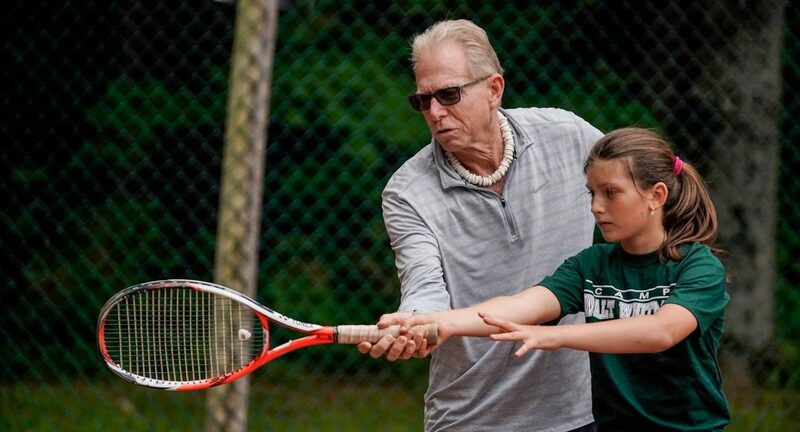 We provide a dedicated, strong-knit family away from home at Camp Walt Whitman to make sure your child feels confident in their abilities and supported completely. With our training and encouragement, they feel inspired to try things they never dreamed of doing.